The music booms and lights flash as DJ Masatane Muto uses his eyes to put on a show in Tokyo. Muto, who lost the use of his hands to Lou Gehrig's Disease, wears a pair of high-tech glasses to control music-mixing software. 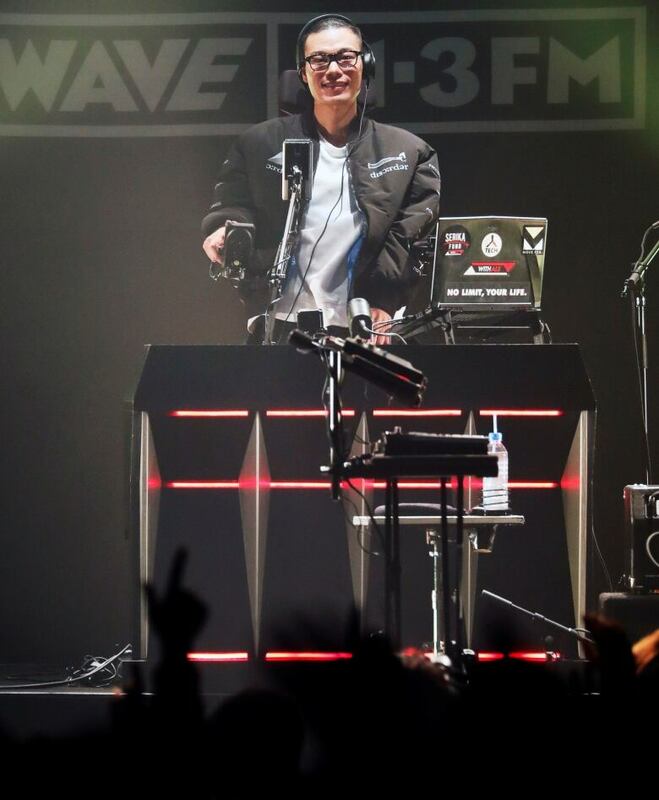 The music booms and lights flash as DJ Masatane Muto uses his eyes to put on a show at a recent Tokyo music festival. 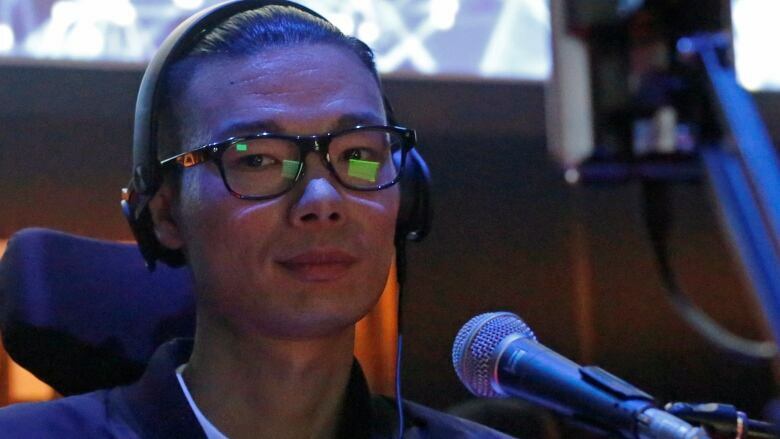 Muto, who lost the use of his hands to Lou Gehrig's Disease and uses a wheelchair, wears a pair of high-tech glasses connected to an app that controls music-mixing software. "Through my performance, I hope to show that everybody should be given the chance to express themselves," Muto, 32, told Reuters Television after performing at the J-Wave Innovation World Festa. Muto was a 27-year-old advertising executive when he was diagnosed with Amyotrophic Lateral Sclerosis (ALS), also known as Lou Gehrig's Disease — a progressive neurological disease in which patients gradually lose control of most of their muscles, though mental function remains unimpaired. The disease, which gained prominence in 2014 through the "Ice Bucket Challenge" global video fundraising campaign, is terminal, with most patients dying within three to five years of their diagnosis. There is currently no treatment. On the train home after his diagnosis, Muto vowed to make the rest of his life as innovative and creative as possible. He quit his job and founded the group "WITH ALS" to raise awareness of the disease and help other patients live their lives to the fullest. Now a radio personality, he performs as a disc and video jockey under the moniker "EYE VDJ," mixing music with smart eyewear that detects his eye movements and allows him to use an app connected to music-mixing software. The eyeglasses sell for ¥27,300 ($245 US) a pair, cheaper than many other eye-tracking devices. The source code for JINS MEME has been released to the public in the hope that others will find their own ways of using it, Muto said. "ALS is thought to be an incurable disease, but I believe hope is now growing for ALS patients to pursue their lifestyle and quality of life with the help of technology," he said. "By then I may be bedridden, but I can perform with the help of technology and the support of many people," he said.